In the mood for a bit of 80’s this week. So what better than a bit of music from 1986’s Remo: Unarmed and Dangerous. Based on Richard Sapir’s Destroyer series and Directed by Bond stalwart, Guy Hamilton, this was a staple from my childhood. 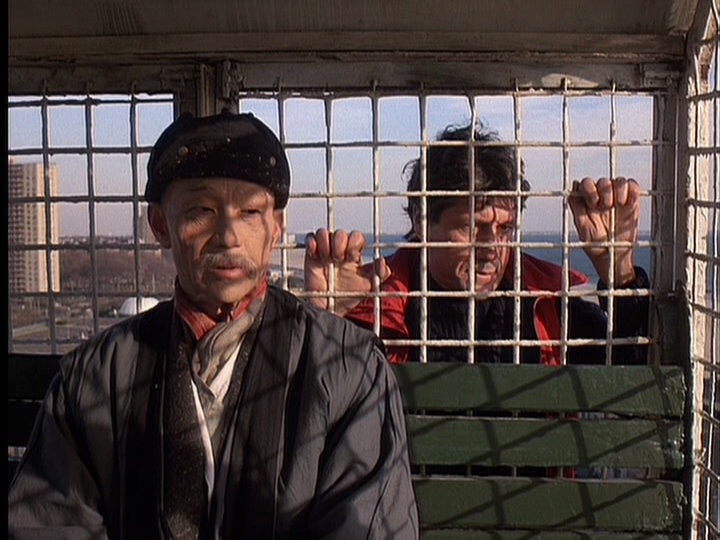 Fred Ward stars as Remo Williams, resurrected New York cop trained to be a secret martial artist / government agent by his “Korean” mentor, Chiun (played by the decidedly not Korean Joel Grey in a regrettable bit of “yellowface” up there with Mickey Rooney in Breakfast at Tiffany’s). The makeup actually garnered an Oscar nomination. Wilford Brimley, Charles Cioffi and JA Preston provide able support and there is also an early role for Star Trek: Voyager’s Captain Janeway, Kate Mulgrew. There are some great set pieces in the film, most notably a fight on the Statue of Liberty, and it’s worth a watch if you’re a fan of that era. 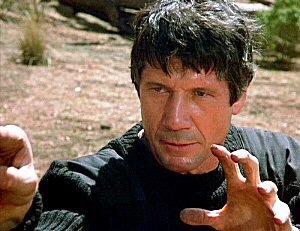 Fred Ward is a very sympathetic lead and puts in a great performance. Got to look at his back catalogue sometime; Tremors, Miami Blues, The Right Stuff. Not bad! I was going to stick a link on here to another track from the film. Styx guitarist Tommy Shaw features on the soundtrack with a slice of 80s brilliance in “What If?” Unfortunately, I can’t find it on YouTube. Instead, we get the theme music by Craig Safan, probably most famous for his work on Cheers. Enjoy. Cheers, I’m off to eat rice and play with my fingerboard! You move like pregnant yak.